from an education at NYA. NYA students travel as far as 50 miles each way to get to school. To assist families who live farther away, NYA offers transportation options for students in kindergarten through twelfth grade. NYA’s transportation service reaches as far north as Edgecomb and as far south as Scarborough. Commuting Can Be a BREEZ. 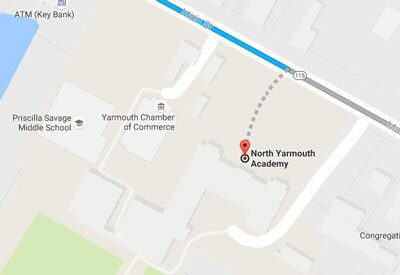 The Metro BREEZ Express Service offers year round transportation from Portland to Freeport, making regular stops at the Yarmouth Town Hall, just 500 ft from NYA’s campus. Check out their schedule and youth rates.